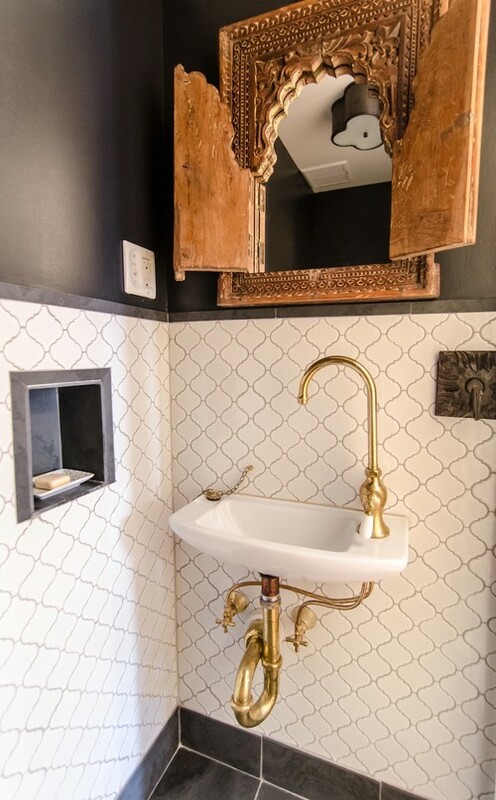 Brass may not be the latest thing, but it’s definitely creeping back into homes of all styles. 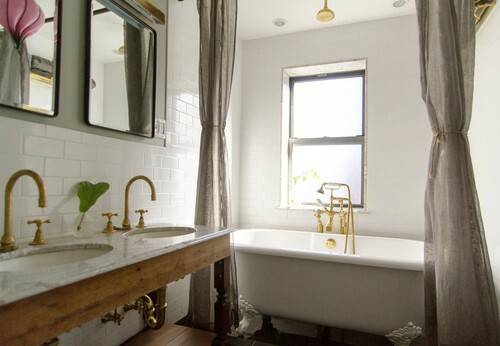 Folks are tired of all-white, gray, modern and minimalist – they want some bling back in their baths, and brass is the way to do it. 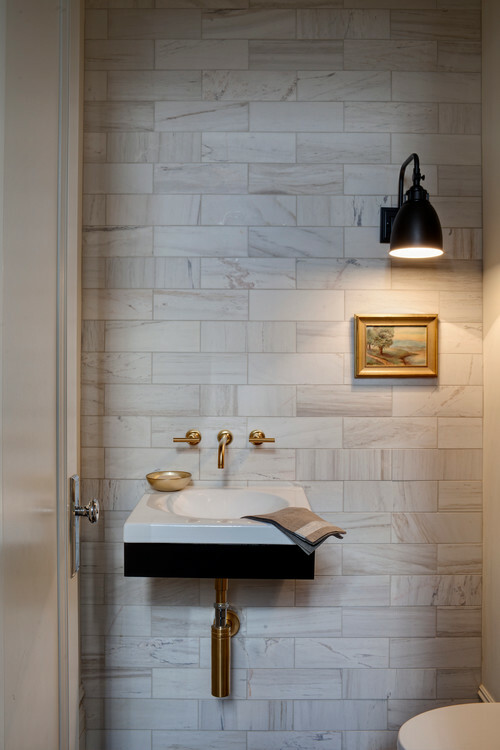 The warm-toned metal unapologetically adds personality to practically all color schemes and is a great alternative for those who are sick of brushed nickel and oil-rubbed bronze. 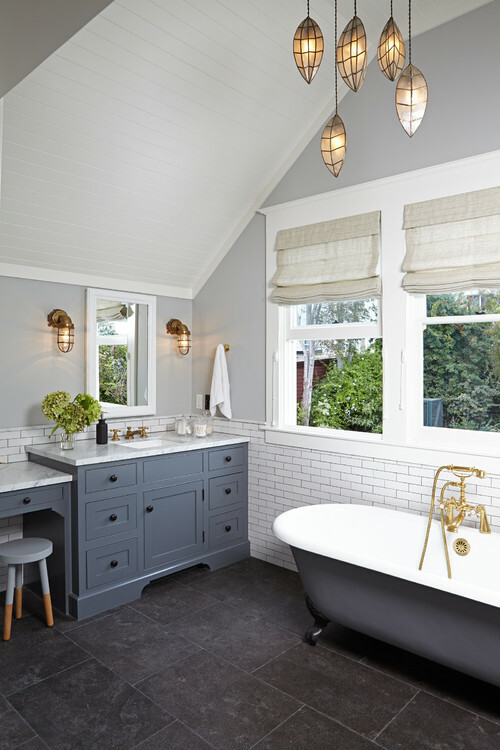 Antique, polished, unlacquered… the vintage finish is no longer reserved for vintage baths. 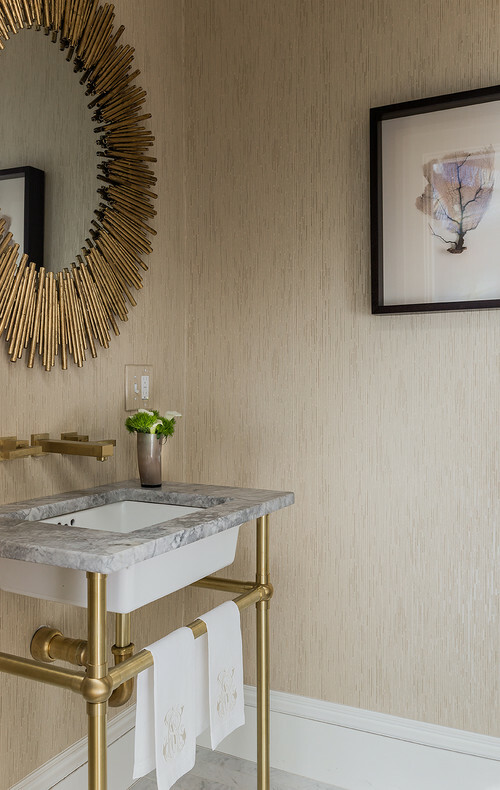 These eleven bold-as-brass bathrooms flaunt that brass with pride – they’ll show you how to get your bathroom into top brass shape. 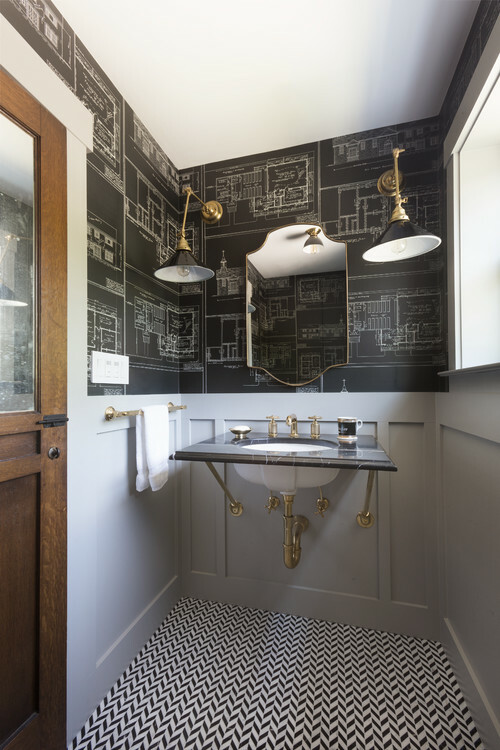 Sometimes just a few smaller touches of brass can transform a room, like this muted gray bath with brass sconces and an awesome brass exposed tub filler. 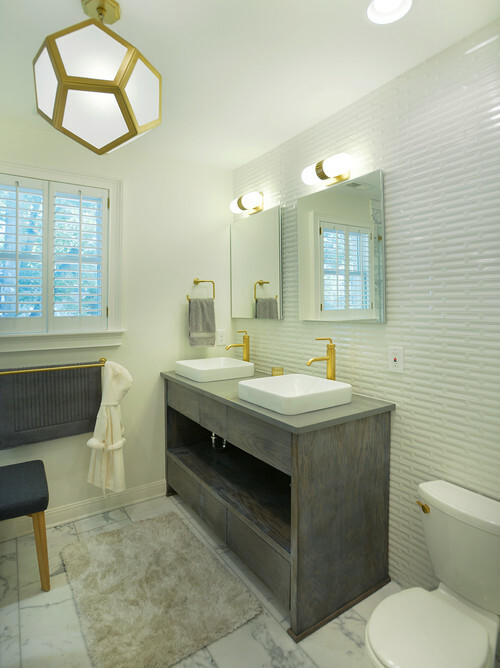 But lots of brass lovers have the “more is better” philosophy when it comes to their favorite finish. 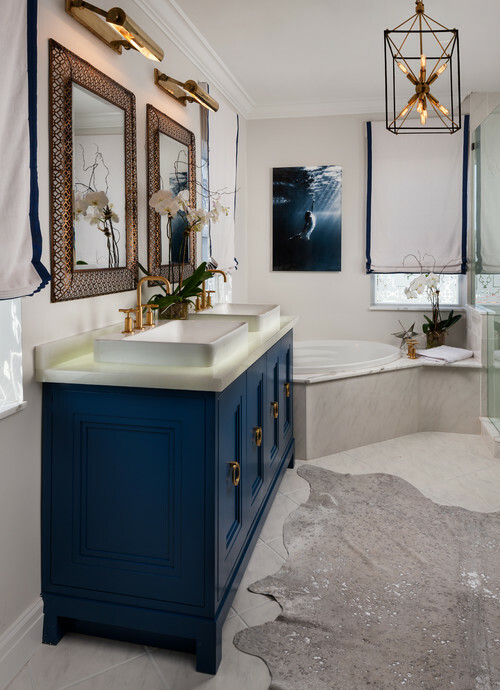 These baths are masterfully brassy without being overdone; when the backdrop is predominately not flashy or busy, the brass can – and does – shine. 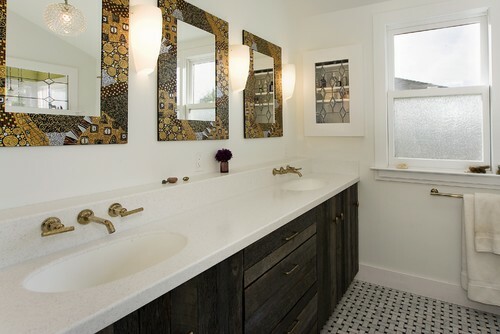 Brass hinges, faucets, mirrors, light fixtures, hardware… it’s a brass fan’s “gilty” pleasure. What’s your favorite finish? How do you feel about brass making its way back to popularity? Vote and tell us what you think!